PRP (aka Regenerative Injection Therapy) is a promising new procedure for the treatment of tendon, ligament and joint injuries. Injured tendons, ligaments and joints cause pain and keep us from doing the activities we love to do. Until recently, the only viable options for treating longstanding injuries were prolonged rest, strengthening, and surgery. Now, with the use of your own blood sample and a specialized centrifuge, we are able to reinvigorate your body’s own healing capabilities, resolve your injury and pain and help you become active and happy again. To prepare the PRP (Platelet Rich Plasma) sample, a small amount of your blood is taken from your arm vein. The blood is then placed in a specialized centrifuge that is designed to concentrate your platelets. Platelets are cells that house the body’s growth factors and the centrifuge process increases the concentration of you platelets and growth factors by 800%. When PRP is injected into the damaged area it stimulates an inflammatory cascade. The inflammatory or healing process promotes new collagen or cartilage formation resulting in a thicker, stronger tendon or ligament. As the soft tissue injury heals, the pain diminishes. The healing process typically takes 4-6 weeks but the process can continue for 3-6 months. 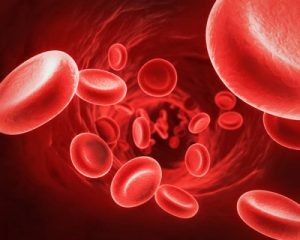 Platelets, which are produced in the bone marrow, contain high concentrations of growth factors and other bioactive proteins that initiate and accelerate tissue repair and regeneration. The PRP injection process is able to concentrate these growth factors and bioactive proteins to a significantly higher degree than the body can on its own. In fact, most injuries occur where the blood supply is poor. The injected platelets are, thus, able to stimulate the healing cascade and begin to repair the damaged or degenerative area. I’ve heard of Cortisone shots; is this the same? More and more current clinical studies have demonstrated that cortisone injections may actually weaken tissue and promote further tissue degeneration. Cortisone shots may provide temporary relief and stop inflammation, but may not provide long term healing. PRP therapy heals ligaments and tendons by increasing their strength and thickness; up to 40% in some cases. PRP therapy may be an exceptionally effective treatment option to rid yourself of a nagging, painful injury. Patients can see a significant improvement in symptoms as well as a remarkable return to pain-free activity in a matter of weeks. This may eliminate the need for surgical repair or ongoing use of pain medications. The sugar solution that is used will not affect your blood sugar levels. So if you are diabetic, you will not need to make adjustments to your medications used to treat your diabetes. What injuries can be treated? PRP injections can be performed on tendons, ligaments and joints all over the body. Arthritic joints and sports injuries including tennis elbow, shin splints, rotator cuff problems, plantar fasciitis, achilles tendonopathy, iliotibial band syndrome, knee sprains, hamstring and hip adductor tendonopathies and many other soft tissue injuries may all be effectively treated with PRP. While response to treatment vary, most people will require anywhere from a single injection to 3 or more to complete the healing process. Each injection is spaced approximately 4 to 6 weeks apart. There is no limit to the number of treatments you can have, the risks and side effects do not change with the number of injections. If you have a tendon, ligament or joint injury that has not healed with relative rest, strengthening and therapy then PRP therapy may be the solution. The procedure is much less aggressive and much less expensive than surgery. It will heal tissue with minimal or no scarring and alleviates further degeneration of the tissues. There will be an initial evaluation to see if PRP therapy is right for you.